Named a ‘self-help guru’ by Elle Magazine, Melissa is an entrepreneur, author, motivational speaker and self-love ambassador. Her widely acclaimed new publication, is a guide for women to empower them to reach their full potential. The no B.S Guide to becoming wildly wealthy, fabulously healthy and bursting with love. We've all got a mean girl - she's that voice inside your head telling you you're not good enough, smart enough, pretty enough, fast enough. As long as she's running the show you're always going to feel stuck and trapped, which means all those dreams and goals you have are going to stay unfulfilled. When you know how to master your mean girl everything changes. You'll be living a life where you're not just achieving your goals, you're bringing your best, brightest, boldest visions to life; it's what makes you feel truly alive. Are you ready to activate your dream life? Melissa Ambrosini is the straight-talking, pump-you-up bestie you never had. She’s on a mission to help beautiful women create the most vibrant, stunning, powerful version of their lives possible and she wants your help to spread her positive messages further. Through her live tours, books, booming global online community, game-changing program programs, meditations, her sold out weekly Goddess Groups and keynote talks, Melissa has transformed the lives of thousands across the globe. 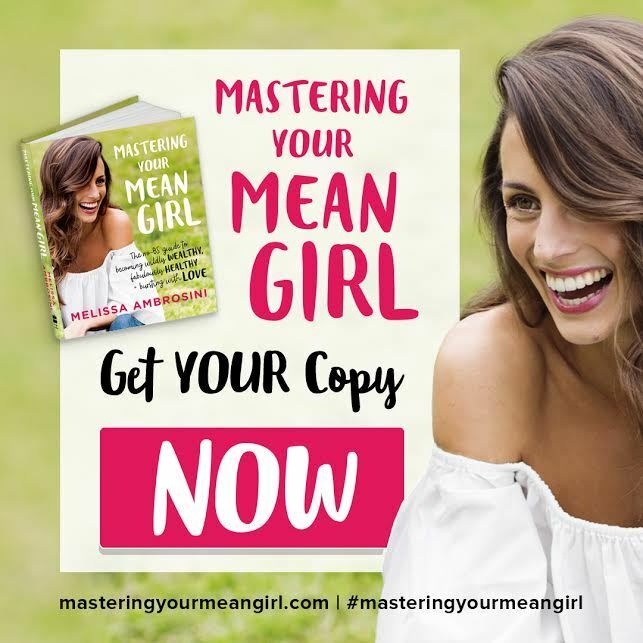 Melissa teaches women how to take back control of their lives, master their inner Mean Girl, smash through limiting beliefs and karate chop self-doubt to live the life of their dreams. “Once you have moved past your limiting Mean Girl beliefs you truly start to live your best life”. Melissa is an advocate for choosing love over fear in every moment and guides women to live from their heart. Melissa's book is being sold through Amazon, Dymocks and other online book retailers.